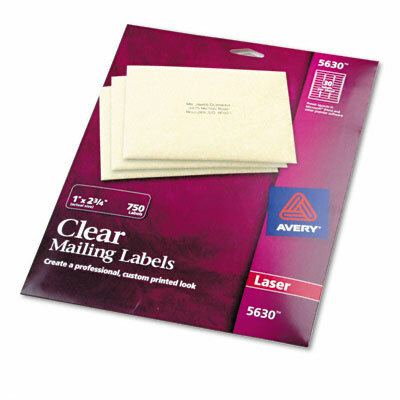 With a laser printer you can create professional custom look clear labels that virtually disappear on colored envelopes. Easy peel feature speeds up labeling. With a laser printer you can create professional custom look clear labels that virtually disappear on colored envelopes. Easy peel feature speeds up labeling.